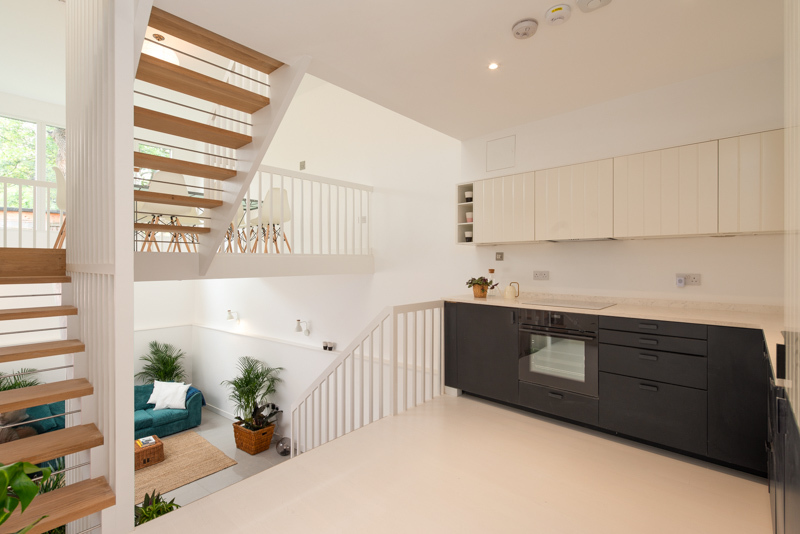 City Architecture Office recently completed a pair of houses in Hackney for developer East End Housing. By communicating the benefits of a bright open facade to the street we secured consent for a pair of three storey terraced houses, an uplift to the existing planning consent for one single storey house. The design officer welcomed the design quality of the proposal & the improved natural surveillance. Each house has a double storey living space and is topped out by a roof terrace with views across to the River Lea & Hackney Marshes. The houses were built by Madison Contracting with Structural engineer Centrespace, and it is the third project we have worked with artist + signwriter Archie Proudfoot , who with a steady hand painted the house numbers. The houses are currently on the market with Blake Stanley.